Super Eagles striker Ahmed Musa scored twice to become the first Nigerian to score at two World Cups, Musa has joined the elite class of players, winning the Budweiser Man of the Match, in the ongoing FIFA World Cup in Russia. 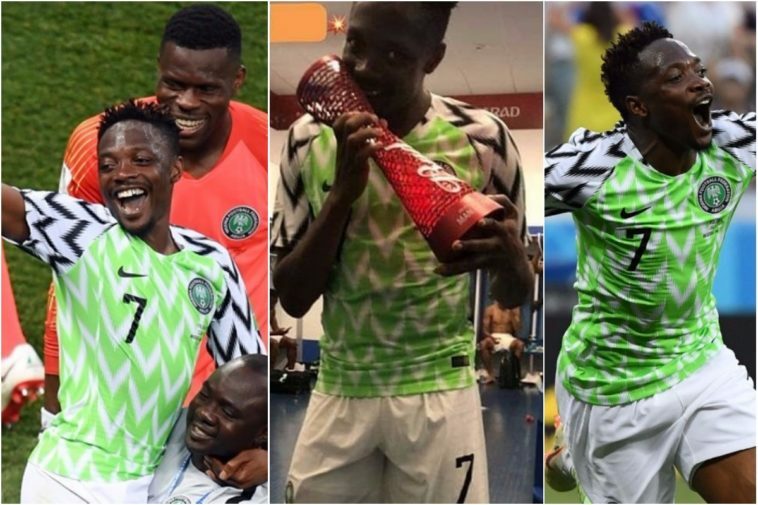 Ahmed Musa has set a new record, after scoring twice in Nigeria’s 2-0 victory over Iceland in a 2018 World Cup Group D fixture yesterday. The Leicester City forward is now the only Super Eagles player in history to have scored more than two goals in any World Cup tournament. Musa has also scored Nigeria’s last four goals in the competition. The 25-year-old only came in as a substitute during the 2-0 defeat to Croatia last Saturday. But Gernot Rohr opted to play him from the start against the Scandinavians. 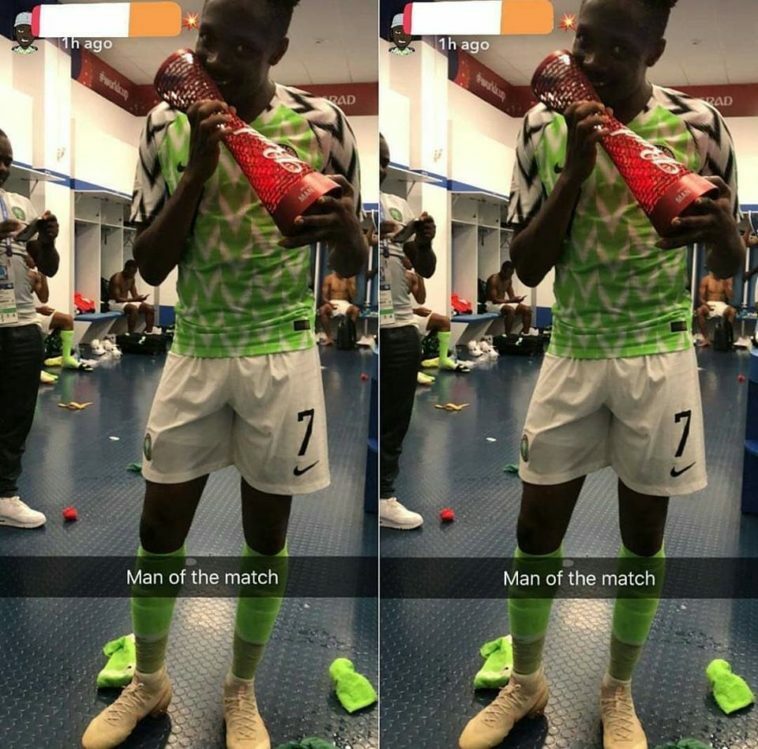 Ahmed Musa with 71 caps for Nigeria, has 13 international goals overall, four of them in the World Cup. Aleksandar KOLAROV(Serbia), Yussuf Yurary Poulsen (Denmark), Hannes HALLDORSSON(Iceland), Antoine Griezmann(France), Amine Harit(Morocco) and MOHAMED ELSHENAWY(Egypt).